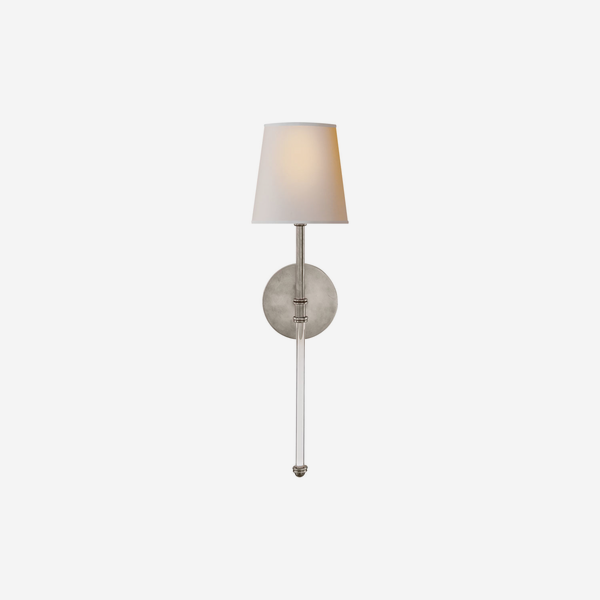 A petite wall lamp in smart antique nickel with a natural paper shade. Mixing traditional design with a contemporary finish, Camille shows a clear acrylic length which adds visual play to a room. Use in pairs in a bathroom or hallway.